New teachers will have to sit a test as part of the selection process, says the Ministry of Education. 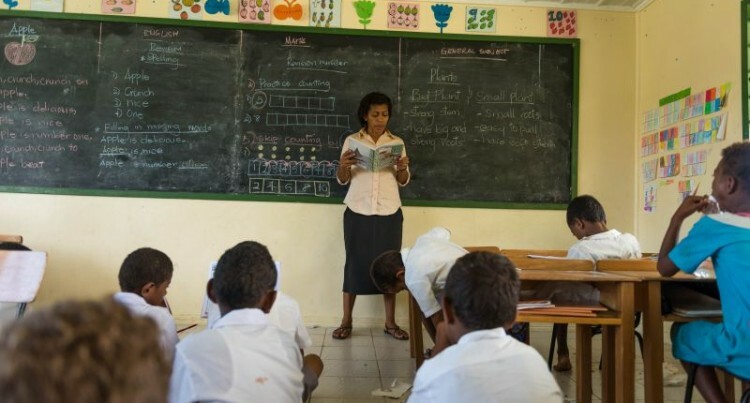 The Deputy Permanent Secretary for Education, Timoci Bure, yesterday confirmed this adding that this was part of the reforms within the ministry. As part of the selection process for the classroom teacher positions previously advertised, Mr Bure said the applicants were required to sit a compulsory written work test. The test, according to an advertisement published yesterday in the Fiji Sun (Page 20), December 30, 2017 consists of two parts – Part 1 is an English Proficiency Test and Part 2 is a specific work test. The compulsory written work test starts on Tuesday, January 2, 2018 from 9am and all applicants must ensure they be present at the test venues by 8am. Mr Bure said the applicants were required to pass the test. “When they pass they will sign their contract,” he said. The Fiji Sun has been reliably informed that the contract will be for five years. These new teachers, if successful, should be ready to commence in their role on January 10. First offers round of employment will start from January 8, 2018. All offers of employment will be made based on the order of merit established through this selection process. Applicants who do not receive an offer for the beginning of the school year will be kept on the order of merit for positions, which may arise during the 2018 school year. Without proper photographic identification, applicants will not be allowed in. Rotuma – Rotuma High School.